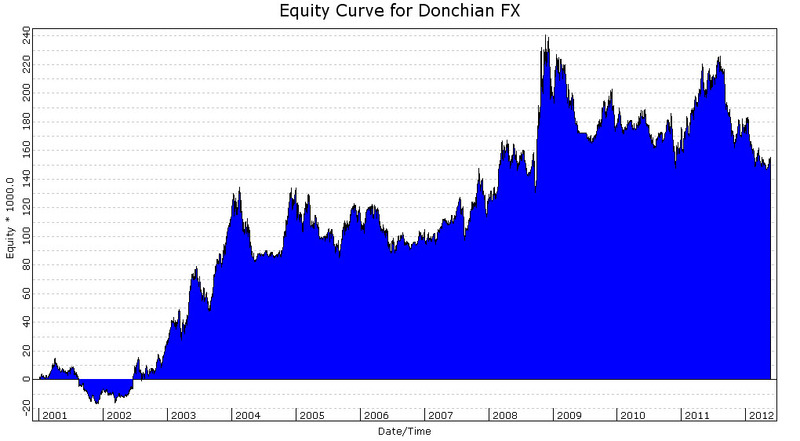 Many Forex Traders, particularly large speculators, use some form of Trend Following methodology in their trading. Trend Following works well when markets are trending with low counter trend volatility, however there are periods when Forex Markets can go months and sometimes years before sustained trends develop and during these times trend following is not the most effective forex trading system to trade. One of the problems plaguing Forex traders in recent years has been that whilst Forex markets may be trending, volatility within the trend has made it difficult to maintain positions for the duration of the move. This back and fill ‘chop’ is becoming increasingly problematic for ‘traditional’ trend following traders across every time frame in today’s electronic dominated market place. 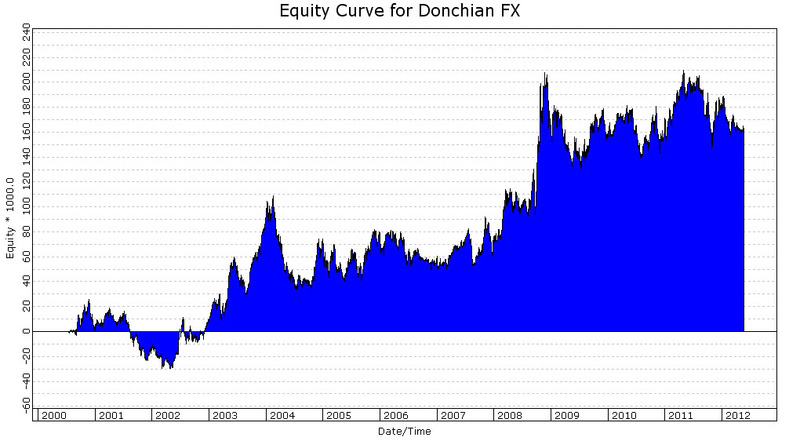 Forex markets tend to correlate very closely with one another. This means when one pair is exhibiting trend-less or choppy behavior, it is likely other pairs will be doing the same. Diversification can be increased by trading some of the cross-rates, however correlation is still an issue. As a simple experiment we tested the Donchian Channel 4 Week Rule across all of the major Forex pairs over the past 12 years: EUR, GBP, CHF, JPY, AUD and CAD. Below is the combined performance of trading ‘one lot’ of futures which includes $20 combined commission and slippage per lot. As you can see, the equity curve is upward sloping left to right, however performance through the entire 12 year period is very choppy. Huge draw downs are the norm: there are four years ‘under water’ between 2004-2008 and a very low Profit Factor of just 1.09. Performance can be improved by optimizing the entry / exit channel width. 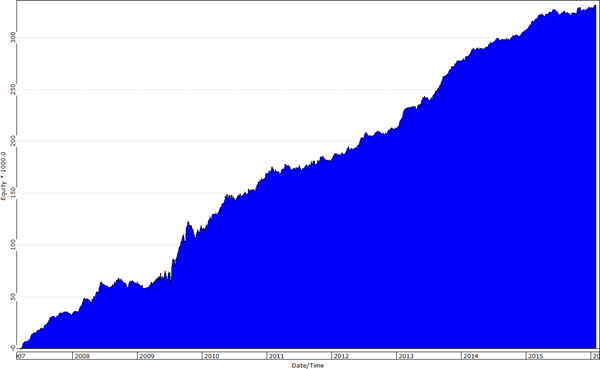 Below is the equity curve when the breakout numbers are increased from 20 to 100 days: Whipsaws are reduced, profit factor increases from 1.09 to 1.56 and our downside volatility in equity is reduced, however the four year underwater period from 2004-2008 remains. We now add a long term trend filter to our 100 day breakout: this means no breakout entries against the direction of the long term trend. As you can see, volatility in equity is further smoothed by the trend filter, particularly pre 2009, and our Profit Factor jumps to 2. However, even with parameter optimization and trend filters we are still seeing a significant deterioration in performance post Financial Crisis: Multi-year under water equity from 2008 through 2012. This is an unreasonable proposition for most professional fund managers and their investors, so too for private Forex traders where cash-flow is important. With these issues in mind we took to developing a basket of robust uncorrelated systems through scientific research and statistical analysis techniques which have been designed to profit from the ‘back and fill’ characteristics of today’s electronic currency markets while continuing to make money from breakout trading when markets produce fat tail moves. We have built our Trading Program upon a sophisticated combination of Intermarket Analysis, a form of modern day financial arbitrage, and a blend of short term trades and medium term trend following. We believe this multi-market, multi-system, multi-time frame approach is the best methodology for successful Forex trading going forwards and we think the results of our program speak for themselves. 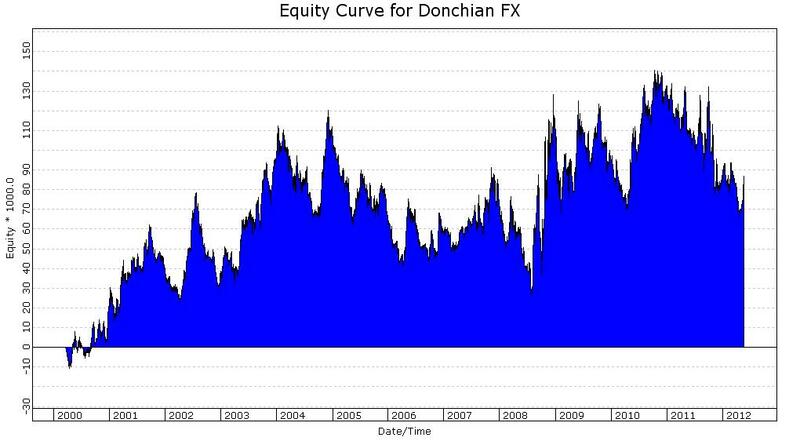 Below is the historic combined equity curve of our Signals Program which trades across five systems, six currency markets and multiple time-frames. To learn more about how you can trade with a statistically proven edge in the Forex markets, enroll now in a risk free trial of our Forex Signals program. ALL RESULTS ARE HYPOTHETICAL. HYPOTHETICAL PERFORMANCE RESULTS HAVE MANY INHERENT LIMITATIONS, SOME OF WHICH ARE DESCRIBED BELOW. NO REPRESENTATION IS BEING MADE THAT ANY ACCOUNT/SYSTEM WILL OR IS LIKELY TO ACHIEVE PROFITS OR LOSSES SIMILAR TO THOSE SHOWN. IN FACT, THERE ARE FREQUENTLY SHARP DIFFERENCES BETWEEN HYPOTHETICAL PERFORMANCE RESULTS AND THE ACTUAL RESULTS SUBSEQUENTLY ACHIEVED BY ANY PARTICULAR TRADING PROGRAM. ONE OF THE LIMITATIONS OF HYPOTHETICAL PERFORMANCE RESULTS IS THAT THEY ARE GENERALLY PREPARED WITH THE BENEFIT OF HINDSIGHT. IN ADDITION, HYPOTHETICAL TRADING DOES NOT INVOLVE FINANCIAL RISK, AND NO HYPOTHETICAL TRADING RECORD CAN COMPLETELY ACCOUNT FOR THE IMPACT OF FINANCIAL RISK IN ACTUAL TRADING. FOR EXAMPLE, THE ABILITY TO WITHSTAND LOSSES OR TO ADHERE TO A PARTICULAR TRADING PROGRAM IN SPITE OF TRADING LOSSES ARE MATERIAL POINTS WHICH CAN ALSO ADVERSELY AFFECT ACTUAL TRADING RESULTS. THERE ARE NUMEROUS OTHER FACTORS RELATED TO THE MARKETS IN GENERAL OR TO THE IMPLEMENTATION OF ANY SPECIFIC TRADING PROGRAM WHICH CANNOT BE FULLY ACCOUNTED FOR IN THE PREPARATION OF HYPOTHETICAL PERFORMANCE RESULTS AND ALL OF WHICH CAN ADVERSELY AFFECT ACTUAL TRADING RESULTS. TRADING INVOLVES RISK OF LOSS AND IS NOT SUITABLE FOR EVERYONE.